New York Sample Rescheck Example | $79 RESchecks & Manual Js. $79 Any Plan. Any State. 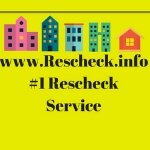 You asked for a New York Rescheck sample and we at the Reschexpert blog are glad to provide it. Should you need a New York Rescheck please send us your plans today to [email protected] and we will get you taken care of. We can also provide a Manual D, Manual S, and Manual J for New York additions, alterations, and new construction.